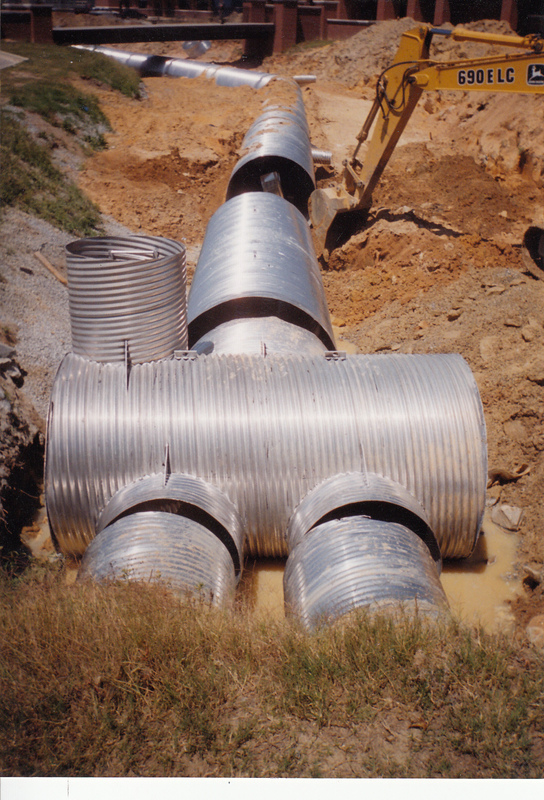 The versatility of corrugated metal pipe products allows for the fabrication of structures which will provide cost savings to any drainage project. Prefabricated strutures are designed based on engineering drawings and include all elevation and directional changes required for the system. They can also reduce hydraulic junction loss associated with precast or built in place structures, improving the overall hydraulic function of the storm drain system. 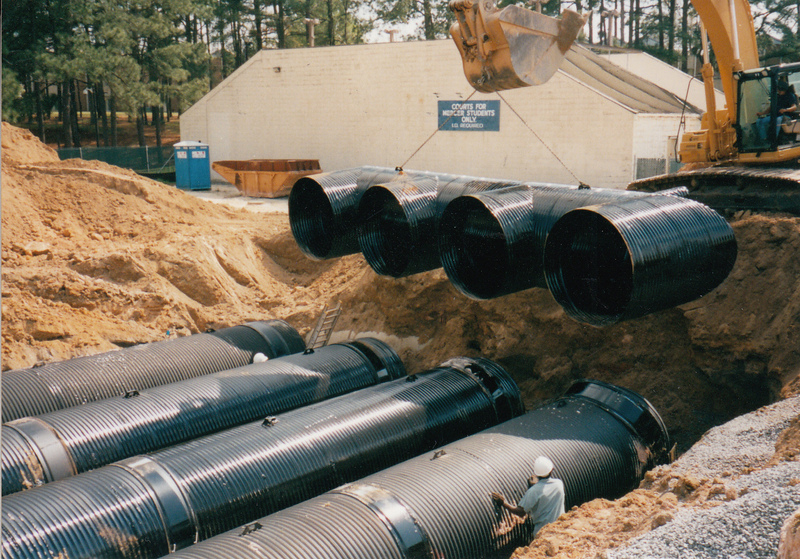 Contractors find them cost-effective to install due to the fact that that are light weight and only require standard culvert connecting bands to complete. No time is wasted placing heavy concrete structures, grouting the orifice, and allowing proper curing time before backfill. Manholes, junction boxes, and drop inlets can be furnished with cast iron coverings specially designed to be used with corrugated metal pipe fittings. 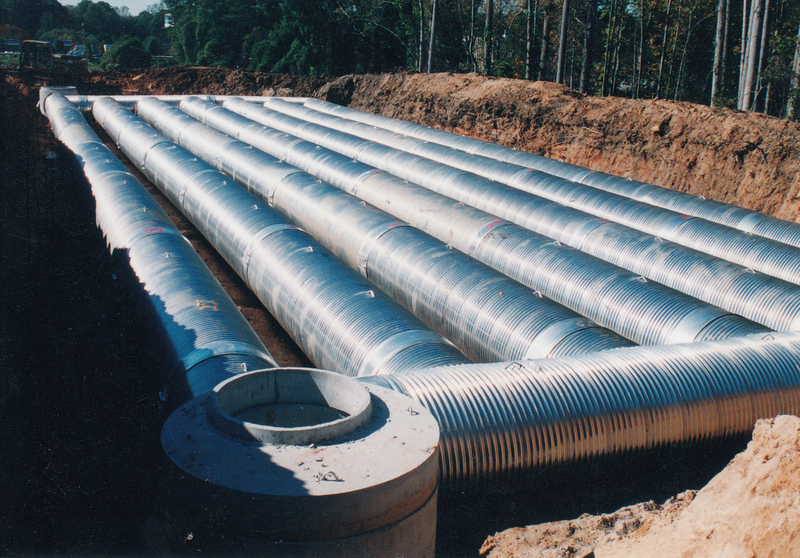 Available in all of our production materials, Cherokee Culvert Company can meet your needs with the best fabricated structures available in the industry. We invite you to allow us the opportunity to customize your project with corrugated metal fittings.